Who are we addressing our offer to? What area does our activity cover? 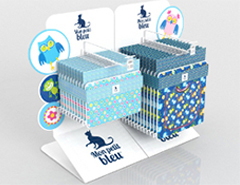 is a company which designs and manufactures POS materials. 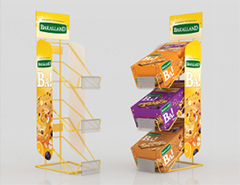 Our Clients have a wide range of products they can choose, such as advertising stands, wobblers, price tags, hangers, toppers etc. 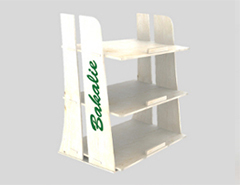 The materials we supply are selected so that they are the most suitable for target sales points. both simple, functional solutions at attractive prices and also creative solutions, for those who let their imagination wander. We are familiar with the Trade Marketing requirements and suggest solutions which are adapted to business realities of the market on which companies, for which we provide services operate. 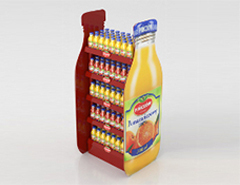 Emano focuses on building a strong image of the company by providing reliable, comprehensive and state-of-the-art services guiding our customers through the complicated process of creating the POS materials. We use our competent knowledge how to design, produce and distribute to reach the ultimate levels of satisfying the needs and requirements of our customers, by creating „customised” promotions, to enhance the attraction of their brands in the markets. We are a stable, transparent and appreciated advertising company, which bases its co-operation on confidence from both customers, business partners, as well as contractors. We offer a broad scope of solutions to promote the products of our customers on both the domestic, as well as foreign markets.